If you wish to use your FastDraw plays in another media format, such as on a webpage, in a Word document, or in a PowerPoint presentation, you have two options for exporting full or partial plays as images. To copy an image of your play to paste into Microsoft Word or PowerPoint, right-click on the diagram and select "Copy Image to Clipboard" from the menu. For an individual frame, choose the option for "Copy Image of Selected Frame to Clipboard". 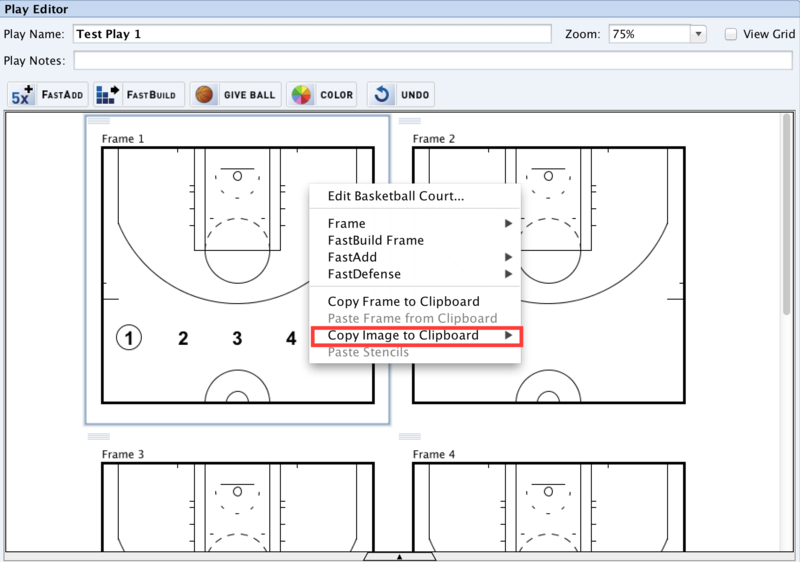 To copy the entire play, including all of the frames, select "Copy Image of Play to Clipboard". Within Word or PowerPoint, you can then Paste the image of the frame or play into your document. 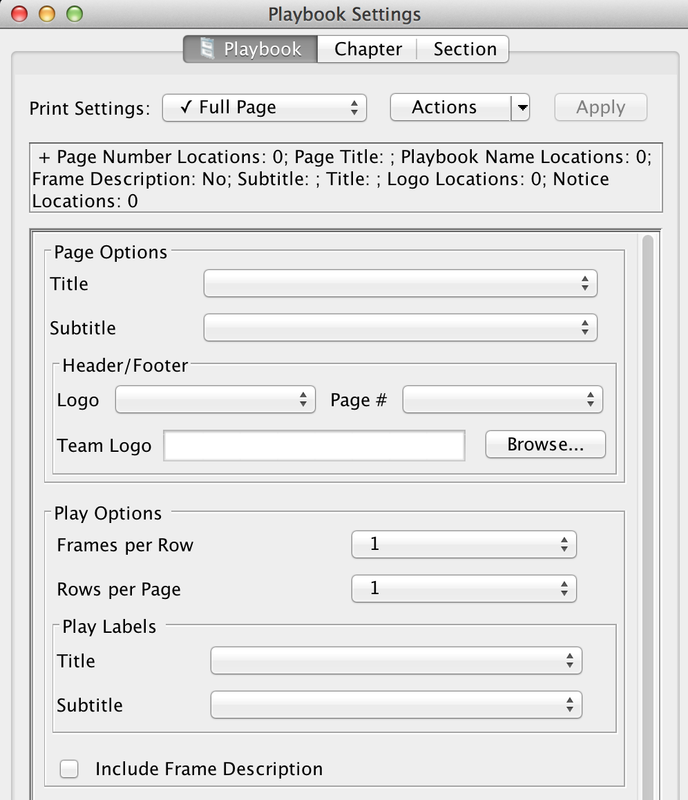 Add one or more plays to a new playbook using the FastPrint feature. Once your playbook opens in the Preview tab, click the Playbook Settings icon to open the Playbook Settings menu. 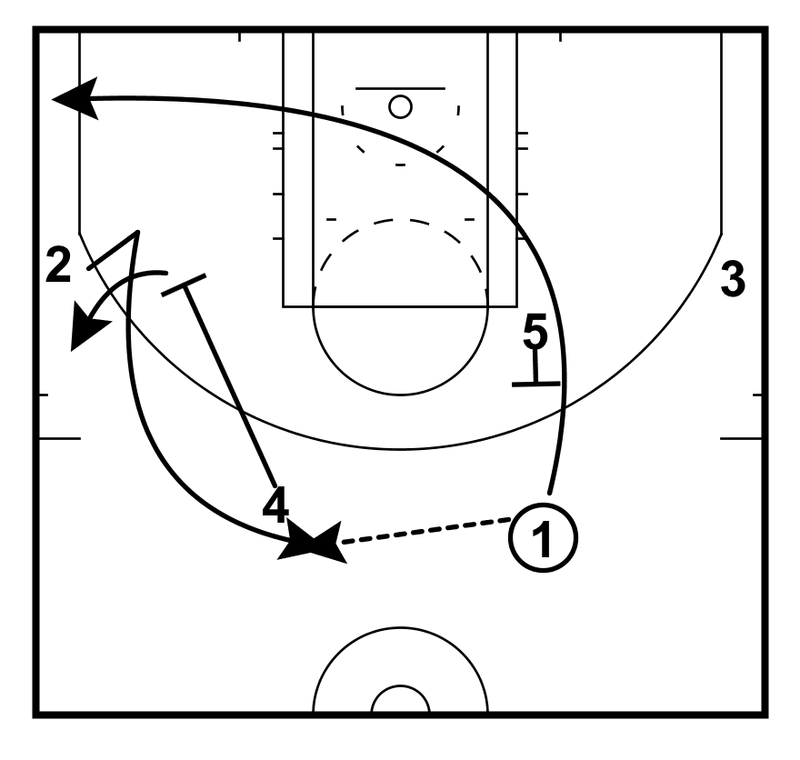 When you export your play, each page of the playbook will be exported as one image. Therefore, if you want one image for each frame of the play, select 1 Frame per Row and 1 Row per Page in the Playbook Settings menu. If you want the full play in one image, adjust the settings to include every frame on one page. Any labels, frame descriptions, and headers or footers will also be included in the image. If you would like simply the diagram as the image and no writing, be sure to turn off the Page Title, Play Title and Subtitle, Include Frame Descriptions, and all headers and footers. Exporting - When you are satisfied with your layout, click the File menu from the top menu bar and select Save As Images. In the menu that opens, you can set the dimensions for your image, choose the file format, and select a save location. A folder will be created in the save location that you choose, and the folder will contain an image file for each page of your playbook.